EFA Project Space is proud to host a rare screening of Kon-Tiki (1950) in conjunction with Sea Worthy: An Exhibition. 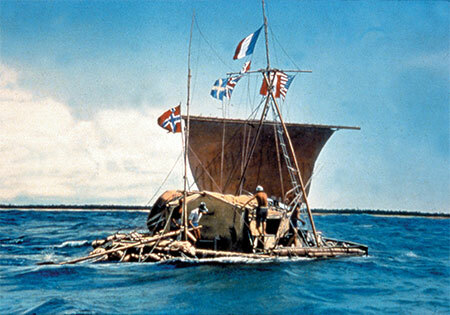 The Academy Award-winning documentary chronicles Norwegian explorer and writer Thor Heyerdahl’s 1947 adventures across the Pacific Ocean from South America to the Polynesian Islands. Special reception to follow! For more information, contact projectspace@efanyc.org. Closing Party, Book Release, and Performance by Ruffian Arms! next post: Summer School: Fun for Adults!